Dunblane High School in Stirling has been named one of the top-performing schools in Scotland. The council-run establishment was revealed today (Wednesday 20 March) as having the second-highest percentage of school leavers who achieved five or more Highers last year, in new figures released from the Scottish Government. A total of three Stirling schools made the top-30 in the list, with Balfron and McLaren coming in at 13th and 24th respectively. This year’s report, published in The Herald, shows 76% of young people left Dunblane High School in 2017/18 with five or more Highers, marking a rise of 14% from the year before and pushing the school into second spot, behind only Jordanhill in Glasgow. The official figures also show overall improvement across all Stirling Council run schools, with the average percentage of pupils achieving five or more Highers up to 46%, 10% higher than the national average. Key to Stirling’s overall success this year is the percentage of pupils who leave school and head for a ‘positive destination’ – which can include work, further education or an apprenticeship – which has also remained at 94 per cent. 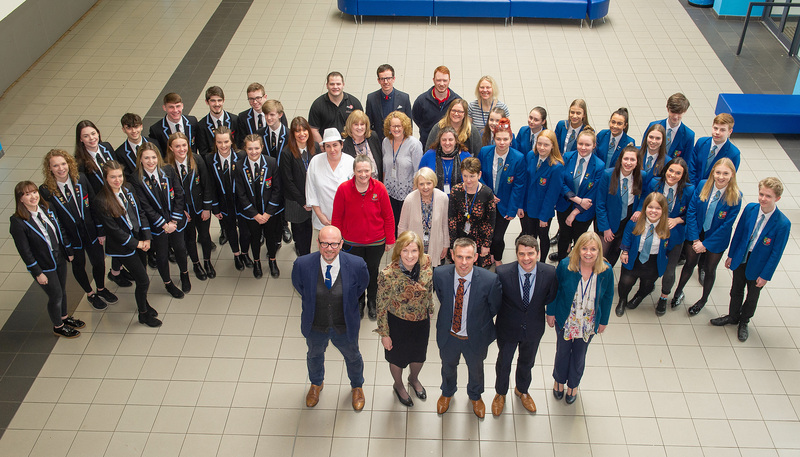 Stuart MacKay, Head Teacher at Dunblane High School, said: “This is a fantastic achievement by the young people of our school and reflects not only the quality of learning and teaching being delivered by our staff, but also the support our young people get from parents/carers and our many external partners within our community. The figures are compiled by the Scottish Government and released annually through The Herald newspaper. Convenor of Stirling Council’s Children and Young People committee, Cllr Susan McGill said: “We’re very proud to have one of our schools ranked in the top two for the whole of Scotland and our congratulations go to all the staff, young people and the wider community in Dunblane. “At Stirling Council, academic success is celebrated just as much as we celebrate success in vocational pathways, or in any positive destination for that matter. Cllr Margaret Brisley, vice convenor, said: “The education service at Stirling Council is one of our best performing areas because of the dedication of our teaching professionals, the support of the communities we’re fortunate to work with and the talent and enthusiasm of our young people.